How to select a boat, plan your project, finish the job, and actually head for the water. Over the past thirty to forty years boat builders, large and small, have produced tens of thousands of fiberglass boats. Many now sit abandoned, waiting for some tender care to get back on the water where they belong. Fiberglass unlike many other types of boatbuilding materials does not rot, rust, or break down over the years. Many people have realized this, of course, and have started what they think will be an easy project. They were wrong, and many well-intentioned renovations sit abandoned. Whatever the reason for wanting to take on the restoration of a project boat, proper planning and organization can make the difference between success and failure. Fiberglass Boat Restoration is about how to plan, organize and successfully complete a project boat restoration. It will explain why it is important to put your efforts and resources into some areas and not others. It contains valuable information about what to look for when considering the purchase of a project boat. 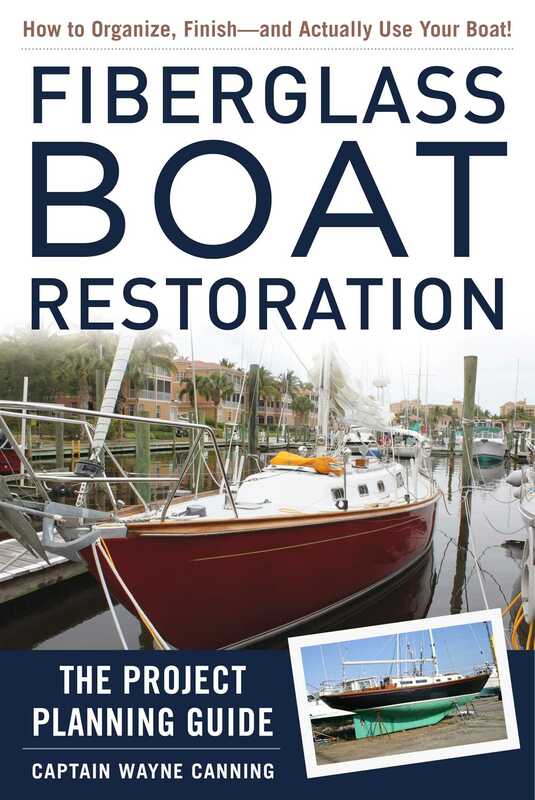 Although the focus of the book is fiberglass, the information will be useful to anyone undertaking the building or restoration of any boat.